Can you tell I’m excited about Fall fashion? I’ve been having so much fun looking at magazines and blogs and choosing the trends I like and the ones I’ll stay away from. Surprisingly though, I didn’t have to spend much time on the shoes portion because they pretty much came to me! Two months ago I bought these perfect little flats( booho! they’ve already sold out! But they have a similar style here!) because I knew they’d be my go to Fall flat. But I still needed a great fall heel or boot. I did boots last year so I knew I’d probably want to do something different. Maybe something strappy… And Black! 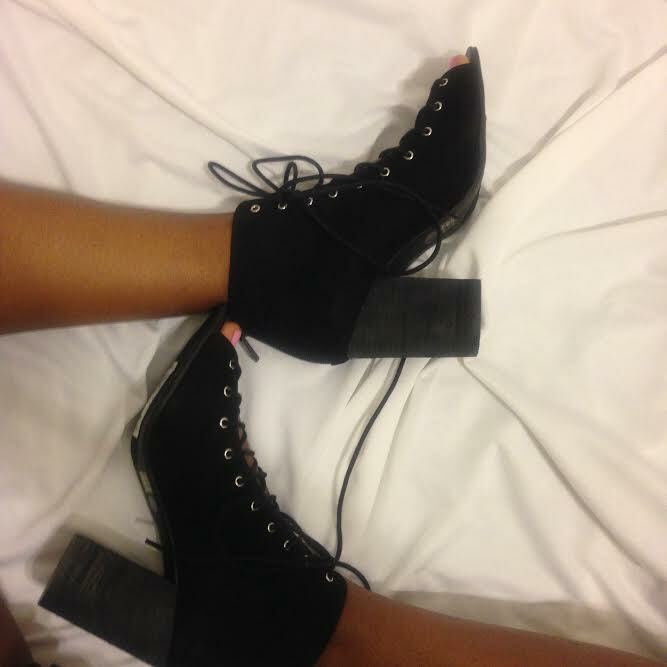 And what do you know, these perfect lace up stacked heels came calling my name. Both shoes are from Chinese Laundry and they are really affordable. 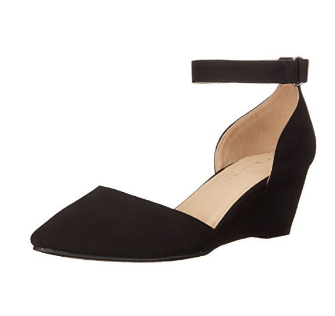 After my recent success with the brand, I decided to share my favorite fall shoes from Chinese Laundry with you guys! I hope you find your perfect pairing with one of these pretties! On sale for less than $40! Don’t forget to sign up for my mailing list for sneak peaks of what’s happening on the blog, giveaway details, and special offers from my favorite eco-friendly brands! NextI wear my pajamas to work, you should too!